Ramona has been the Director of Public Works for Powhatan County since August 2015. She is a licensed professional engineer in Virginia, West Virginia and Arkansas and has a Master Degree in Public Administration. 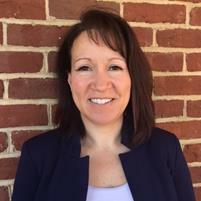 Ramona came to Powhatan with more than ten years of public service experience and ten years of experience in private engineering consulting. She most recently worked for the Western Virginia Water Authority in Roanoke Virginia and also worked in local government in Arkansas. Ramona was born and raised in Canada where she graduated from the University of Alberta with a BSc in Civil Engineering before moving to the United States in 1998. She has two children, a 21-year-old son who resides with her in Chesterfield County and a 19-year-old daughter who is attending Bemidji University in Minnesota.